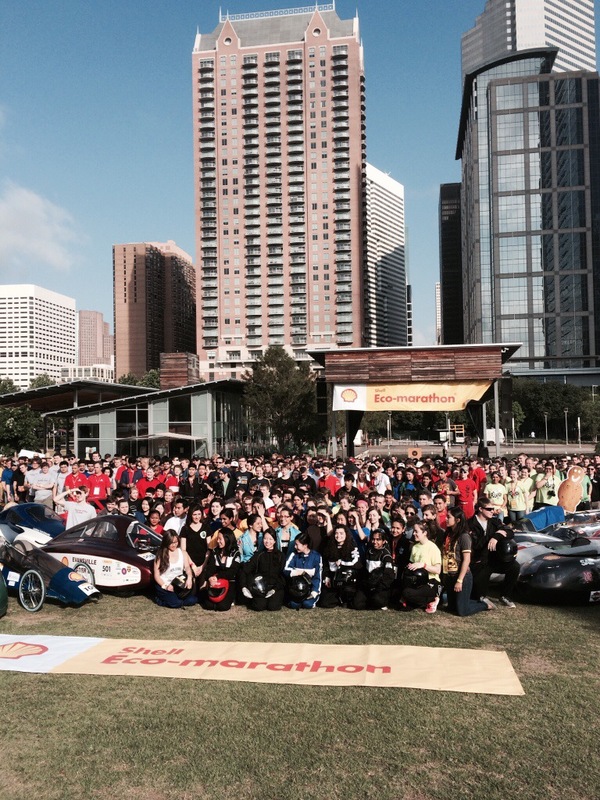 About 200 of the 4,000 or so alumni from LA Tech living in the Houston area are expected to get down to the Shell Eco-marathon race track around Discovery Green this weekend. An impressive set of fans, coming from as far away as Norway. They are not looking for a fast finish. 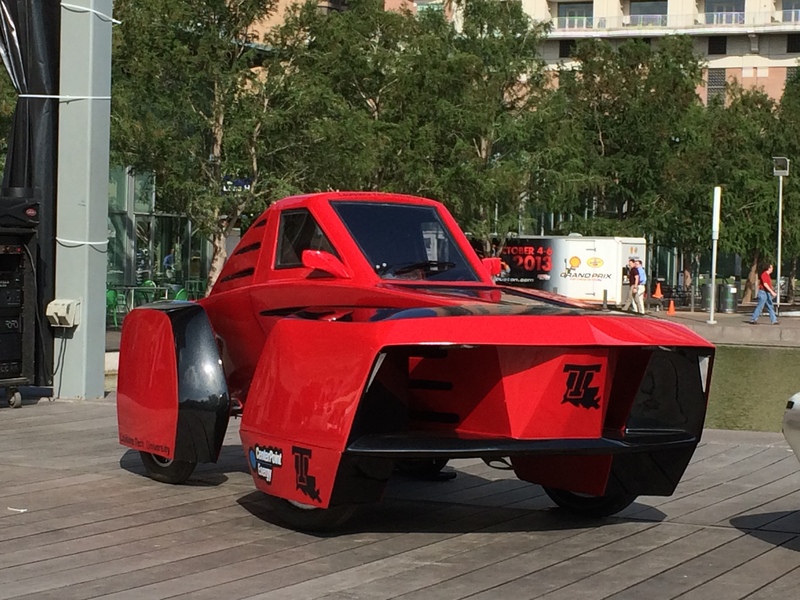 More like a smooth glide from their team car, Diesel Dawg, in its bid to retain first place in the Urban Concept Diesel category it won in last years event with a staggering 315.9 mpg. The sixteen engineering and science students from Louisiana Tech University are just one of over a hundred teams coming from across the US as well as from Brazil, Canada, Guatemala and Mexico to compete in five categories of fuel (Hydrogen, gasoline, diesel, alternative gasoline and alternative diesel) plus battery electric in either prototype or urban concept vehicles. These cars have been designed and built for fuel efficiency. They need to be light and agile, yet safe enough to get around the track. Building them is a true team effort: seeking funds, sourcing the materials, building the engines and bodies, even designing the outfits for the crews who are fashion-driven to wear the “matching stuff”! Courtney, a chemical engineering student at LA Tech explained that she joined their Eco-marathon team because it’s a “great way to turn theoretical concepts into reality”. She also found value in building social skills and opening up more opportunities for jobs in the future. In preparing for the event, she spent time working water jets and lathes to fabricate parts. During the race, she will be on standby to take over driving duties if called for. And afterwards? “The folks on the team will be friends for life”. Good luck to all the teams competing this weekend.